Our battery service in Bloomfield, NJ is readily available to you. We offer not only a quick turnaround but also a wide selection the top battery brands. Whether you need a performance battery for your 5-series BMW or a more common battery brand, we are here to assist. Contact our service department for additional battery questions or concerns! We can install your battery or run diagnostics in little to no time. 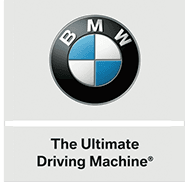 You can count on the experts at BMW of Bloomfield to get you back on the road with a battery you can rely on.